Can eating lollipops take away hunger urges? According to the female weight loss brand Flat Tummy Co (who make Flat Tummy Lollipops) they can, and the company seems to be pretty proud of the fact that each of their appetite suppressing lollipops only provides 35 calories. However, that’s only slightly less than you’d get if you ate 100g of carrot and that would probably be healthier way to snack. It’s also worth remembering diet pills can suppress the appetite without providing any calories at all. However, trying to lose weight by sticking a lollipop in your mouth could be seen as being the trendy way to go because Flat Tummy Lollipops have had the benefit of a social media recommendation from the American celebrity and socialite Kim Kardashian. What Are Flat Tummy Lollipops and How Do They Work? If they can suppress hunger in the promised way, Flat Tummy Lollipops will take away feelings of hunger and help the people snacking on them to stick to their calorie controlled diets. Presuming the lollipop users’ diet remains low enough in calories, the resulting energy shortage will cause their body to begin burning fat as a source of fuel. However, the need for a calorie controlled diet and healthy eating is not mentioned in the Flat Tummy Lollipops marketing material and it’s also interesting to note, the manufacturer makes no direct claims that their lollipops will help anyone to lose weight. Shortly after Flat Tummy Lollipops were launched in May 2018, Kardashian gave the product a big push via a paid advert on her Instagram page, where she was pictured caressing a lollipop suggestively between her lips. The post quickly gained over 800,000 likes from her fans. However, many people, including the actress and model Jameela Jamil, slammed Kardashian for sending a “toxic message” to young impressionable women. Members of the Kardashian camp removed the post, re-posted it, and then removed it again. At the time of our review, it was back yet again and, despite a lot of negative comments, it had more than 1.5 million likes. Usage Instructions – The usage guidelines provided by the manufacturer state you can snack on a maximum of two lollipops per day. The best time to do this is mid-morning or late afternoon, when between meal cravings are at their worst. Flat Tummy Lollipops contain an unspecified amount of Satiereal. There are no other active ingredients. 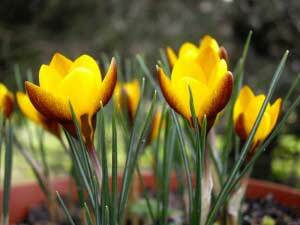 Satiereal is a patented form of crocus extract. Also known as saffron, this flower extract is often used for enhancing the flavor and colour of rice. The claim that Satiereal can suppress hunger is based on a single study, conducted on mildly overweight women. The women who took the extract achieved an average weight loss of 0.96 kg. One study alone cannot be seen as proof the ingredient works, but the results were certainly promising. However, the women involved were given 176.5mg of Satiereal per day. There is no way to know if two Flat Tummy Lollipops provide this amount. If they do not, the same effect may not be achieved. It’s also worth noting, the researchers stated their belief that “the combination of an adequate diet with Satiereal supplementation might help subjects engaged in a weight loss program in achieving their objective”. Flat Tummy Co don’t stress the need for a weight loss program and any woman who thinks sucking on a couple of lollies per day will help her to lose weight is likely to be severely disappointed. At the time of this review, the only reviews available were the ones published on the manufacturer’s website. Reviews published at such a biased source may have been hand-picked and are best taken with a grain of salt. It’s also worth mentioning, although positive comments have been made about the product’s flavour and hunger suppressing capabilities, none of the reviewers mention losing any weight. Flat Tummy Co don’t mention if side effects are possible, but nor do they state how much Satiereal Saffron Extract a lollipop contains. This presents a cause for concern because, although saffron is normally tolerated well by most people, unusually high doses can lead to a number of side effects including dry mouth, dizziness, nausea and headache. With this in mind, we suggest refraining from using this product without a doctor’s approval. 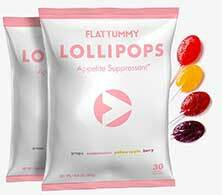 You can only buy Flat Tummy Lollipops from the Flat Tummy Co website and two bags of lollipops (60-day supply) have an RRP of €41.64/USD$ 41.65/£36.30. That’s quite a lot of lolly for a bag of lollipops. It’s not much less than the average cost of a bottle of diet pills and all the leading diet pill brands pack a lot more power and have better customer reviews. Although the active ingredient in Flat Tummy Lollipops is not without potential, it requires further study and it’s pretty fair to say there are any number of better appetite suppressing ingredients available. It’s also worth bearing in mind the fact that appetite suppression alone is not always enough to help people to lose weight. All the best diet pills provide dieters with support in a number of different areas and generally have the ability to speed up the metabolism and cause the body to burn calories at an accelerated rate. Flat Tummy Lollipops could be seen as being more trendy than today’s leading weight loss products, and if you are happy to pay over the odds prices for a piece of candy on a stick, more power to you. However, if you are serious about losing weight, there are a number of better options available. In our opinion you are better served by using a product that offers multiple benefits and has clinical research. 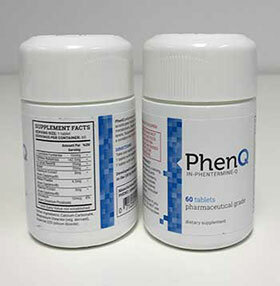 We suggest PhenQ as a diet product – it can not only suppress your appetite but also burn excess and existing body fat as well as stopping (blocking) newly introduced fat.